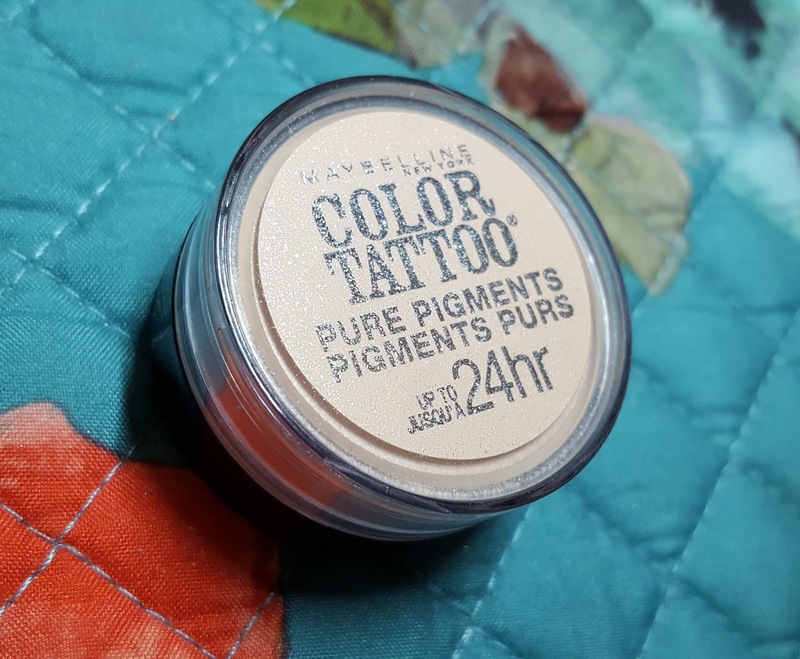 The first item is the Maybelline Color Tattoo Pure Pigment, a loose pigment. I’m not a Maybelline user, but I’ve always been curious about it as they have come out with multiple types and shades in the Color Tattoo range. Color Tattoo Pure Pigments are a crease-proof formula with up to twenty-four staying power and being a pure pigment, also has intense color payoff. 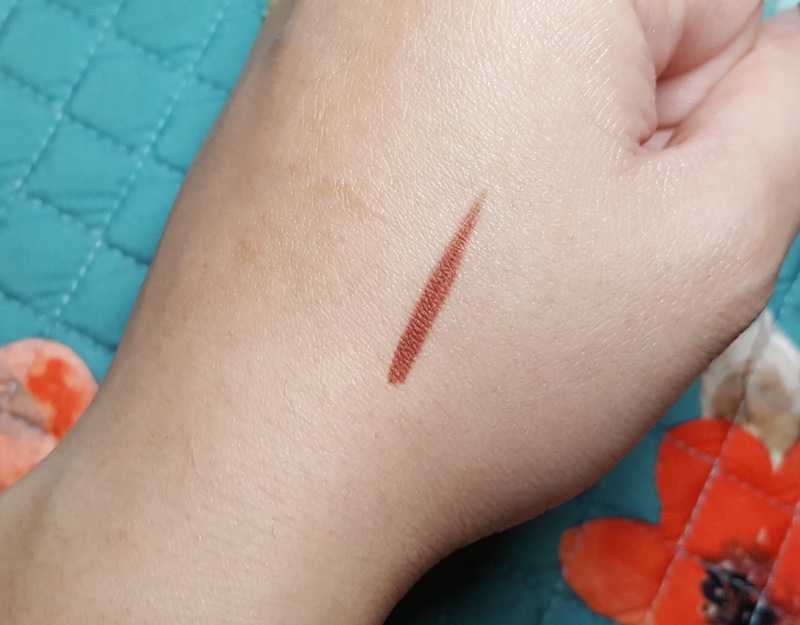 Swatch of Maybelline Color Tattoo 'Barely Brazen' Pure Pigment. 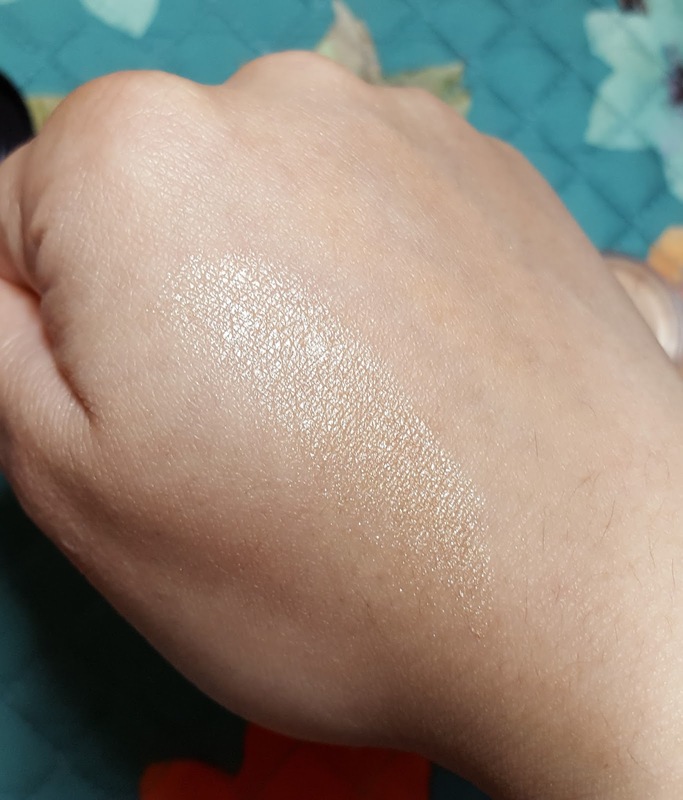 The shade I received is called ‘Barely Brazen.’ When you look at the pigment in the container, it’s a light pink, but when swatched, it looks like a champagne shimmer shade without any pink tones that I can see. If you packed it on, it’ll probably look pink, but it does make for a great highlight. 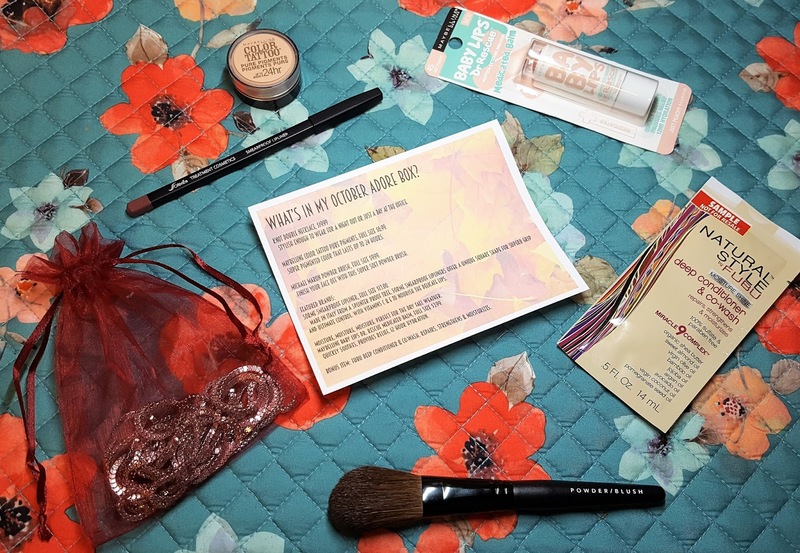 You only need a little bit of product for intense color – I’m impressed. 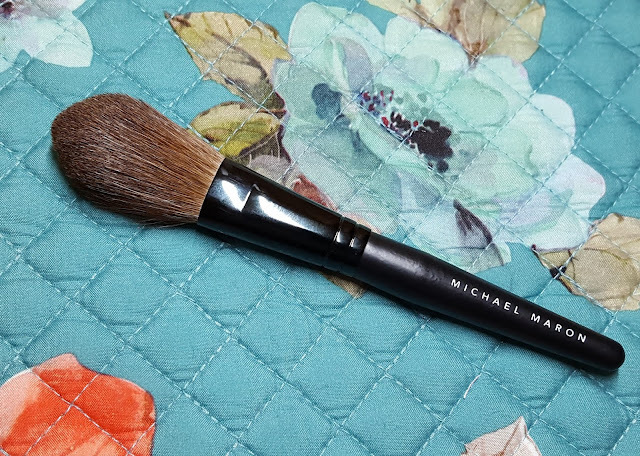 The next item is the Mojave Magic By Michael Maron Powder/Blush Brush. It’s a well-made brush with long, soft bristles that are more on the stiff side, but still have some flex. Has an overall dome shape and if you turn it to the side, you can see the bristles gently taper in. 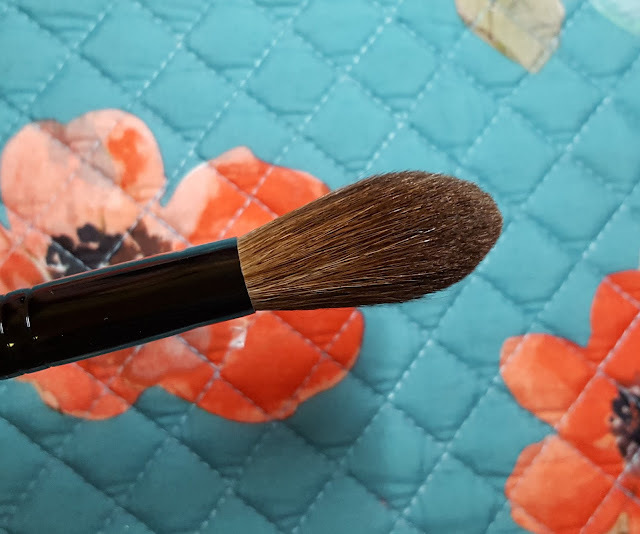 This brush can be used either for blush or face powder, especially pressed formulas. Its shape makes it great for applying powder to the undereye region, but I personally think it’s too stiff for applying blush. When it comes to blush, I prefer fluffier brushes. The third is the SORME Cosmetics Smear-Proof Lipliner. 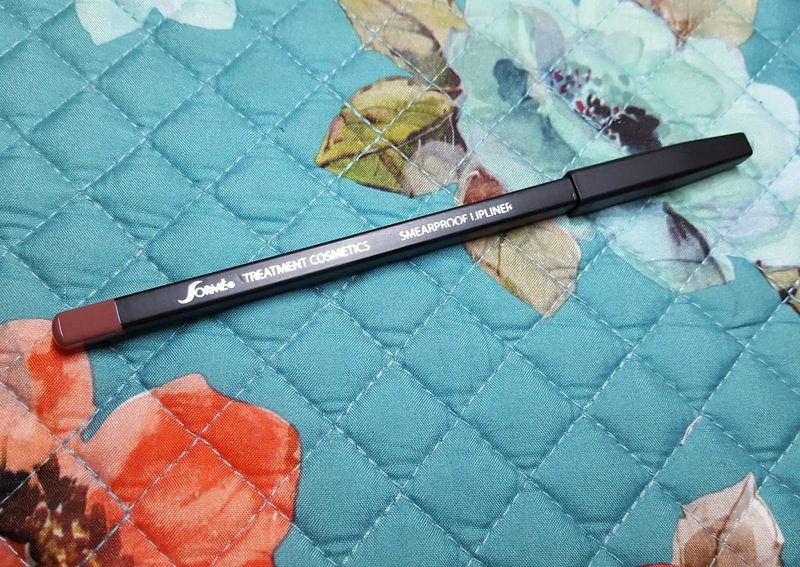 It’s a creamy lipliner formulated lecithin to keep lips hydrated, plus vitamin E and C to prevent lip lines. 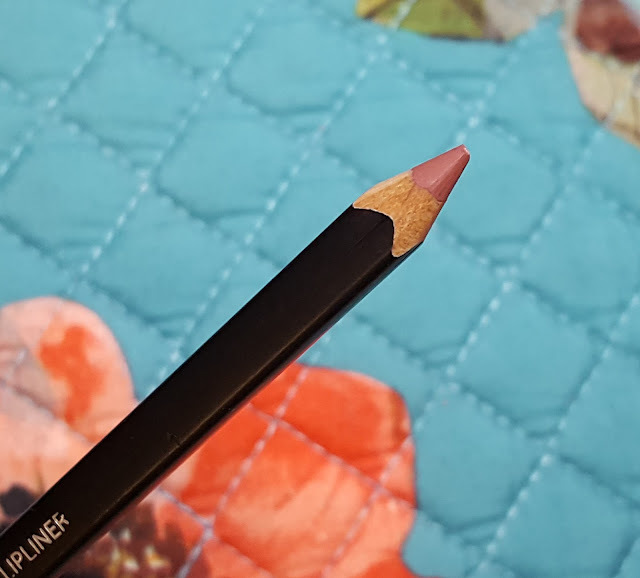 Just like their Smear-Proof Eyeliner from last month's box, it has a square-base shape for better grip and control. The shade I received is called ‘Dusk,’ which is almost like a brick red, but a tad more muted. 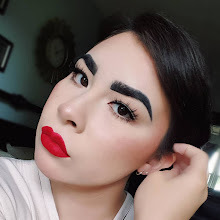 I’m not the biggest of deep reds, so I don’t know if I would use it or even own a lipstick that this could work with. The next item is the Knot Double Necklace from I-don’t-know-what brand. 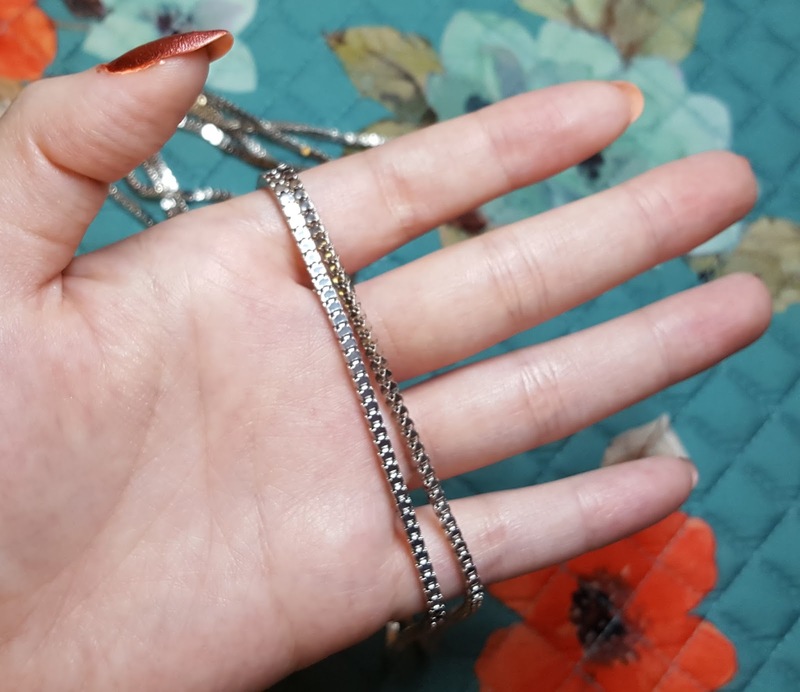 When it first came, I was confused as to what I got because it came in an unmarked bag containing two long strands of silver chain. Initially, I thought it came broken, but I think the knot just came undone. I know there are necklaces like this out on the market that is basically chains that you can wear different ways by draping or tying knots, but I personally don’t like it. 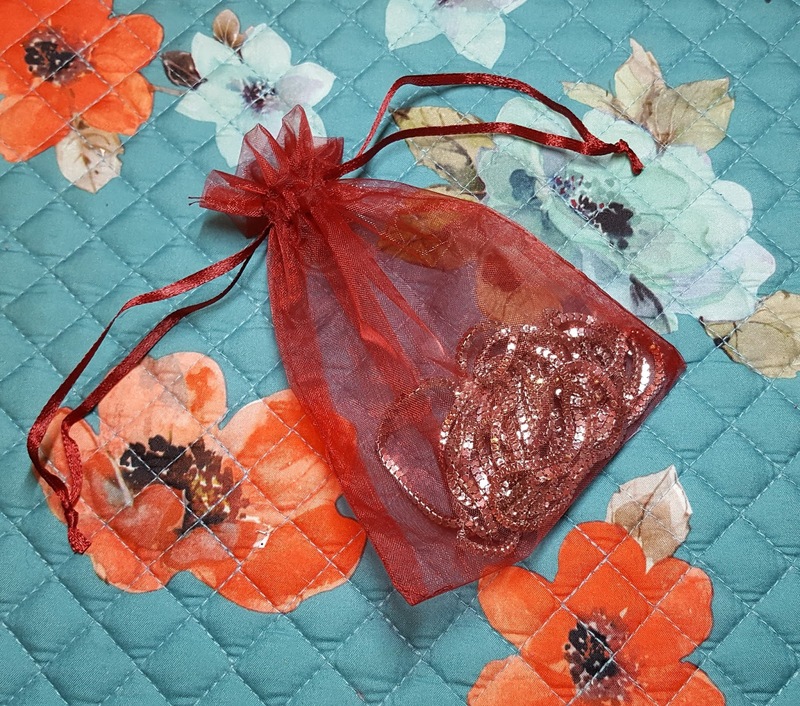 Jewelry-wise, I like finished pieces with clasps or that I can pull over my head. You can buy jewelry chains (like this one) by the yard at a craft store and make the same thing for less, so it doesn’t make sense to me why this costs twenty dollars. The fourth item is the Maybelline Baby Lips Dr. Rescue Medicated Balm, which contains menthol and eucalyptus to calm cold sores and hydrate lips for up to twelve hours. 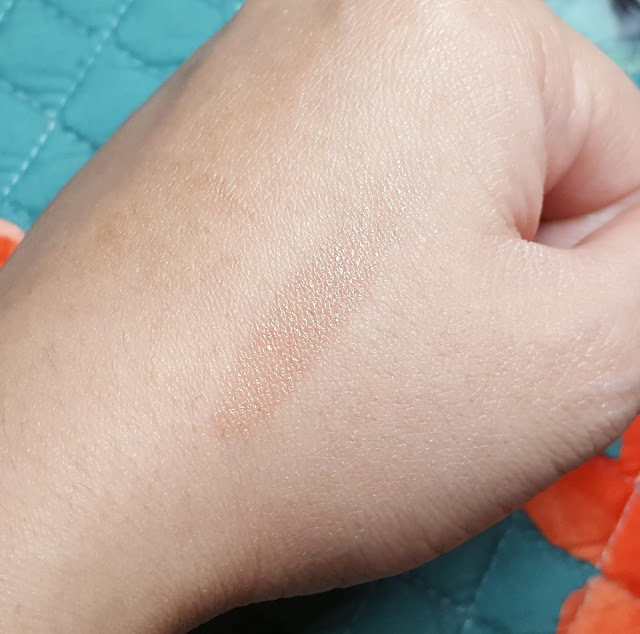 Swatch of Maybelline Baby Lips 'Just Peachy' Dr. Rescue Medicated Balm. The shade I received is called ‘Just Peachy,’ which like the name suggests, is a peachy color. As expected from a lip balm, it only adds peach tint to the lips to give you some color. Because it’s medicated, this is not something that you can apply like regular chapstick. Only wear it if you need to and no more than three to four times per day. 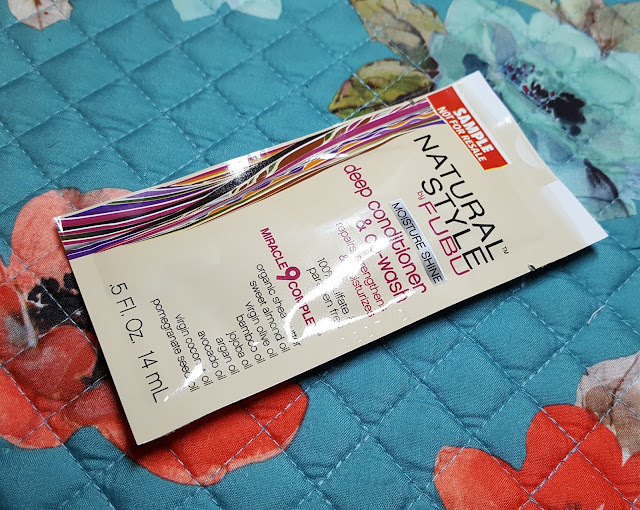 And the last item is the Natural Style By FUBU Deep Conditioner & Co-wash that repairs, strengthens, and moisturizes hair. It’s a moisturizing deep conditioner that smooths the hair cuticle, softens brittle hair, and minimizes breakage and dryness.